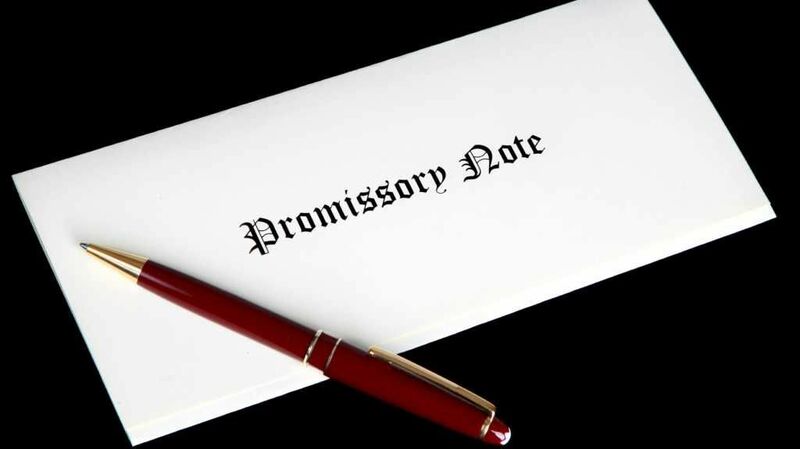 A promissory note refers to a financial instrument that includes a written promise from the issuer to pay a second party – the payee – a specific sum of money, either on a specific future date or whenever the payee demands payment (depending on the terms of the note). The promissory note should include all terms that relate to the indebtednessDebt CapacityDebt capacity refers to the total amount of debt a business can incur and repay according to the terms of the debt agreement. A business takes on debt for several reasons, boosting production or marketing, expanding capacity, or acquiring new businesses. How do lenders assess how much capacity for debt a company has?, including when and where the note was issued, the principal amount the issuer owes, what the interest rateFinanceCFI's Finance Articles are designed as self-study guides to learn important finance concepts online at your own pace. Browse hundreds of finance articles and guides to learn about the cost of capital, financial analysis, ratios, multiples, rates of return, profitability metics, and how to evaluate the overall on the note is, and when the note reaches maturity (becomes due). Promissory notes are debt instruments. They can be issued by financial institutionsKey Players in the Capital MarketsIn this article, we provide a general overview of the key players and their respective roles in the capital markets. The capital markets consist of two types of markets: primary and secondary. This guide will provide an overview of all the major companies and careers across the capital markets.. However, they can also be issued by small companiesSmall Cap StockA small cap stock is a stock of a publicly traded company whose market capitalization ranges from $300 million to approximately $2 billion. The classification between small, mid, and large-cap companies is subjective and can vary among brokerages and market analysts. or individuals. Promissory notes enable a person or a business to obtain financing without going through a bank. The issuer of the note simply must be willing to carry it until maturity and be willing and able to provide the funds specified in the agreed-upon terms laid out in the note. In the business world, promissory notes are often used to provide short-term credit. If, for example, a small company has sold goods or services, but has yet to receive full compensation for them, cash flow dwindles and it might have difficulty managing its debts. The company can ask its creditors to accept a promissory note, with the condition that they will pay the total amount they owe on the note in the future once their accounts receivables are collected. They can also ask a financial institution to accept a promissory note, essentially taking out a temporary loan and paying it back once they have the funds to do so. Promissory notes are also a potentially good source of short-term creditBridge LoanA bridge loan is a short-term form of financing that is used to meet current obligations before securing permanent financing. It provides immediate cash flow when funding is needed but is not yet available. A bridge loan comes with relatively high interest rates and must be backed by some form of collateral for companies that have already exhausted more traditional options like bond issues and corporate loans. This usually means, however, that the issuing company is more likely to default. It also means that the interest rate on the note will offer a higher return. Corporate promissory notes usually have to be registered both in the state they’re issued in, as well as with the Securities and Exchange Commission (SEC). Regulators then examine the note and the issuing company to determine if the company can realistically fulfill the promises outlined in the note. For many Americans, the introduction to promissory notes comes with the process of getting a student loan for secondary education. Many lenders – specifically private lenders – make students sign promissory notes for each loan they take out to pay for schooling. Some schools let students borrowing federal loans sign a single, master promissory note, enabling them to receive multiple other federal loans as long as they remain eligible under the terms of the master note. The note outlines the conditions and terms of repayment, which usually include the original loan amount, plus interest, and, if the loans are federal, the student must pay back the total amount to the U.S. Department of Education, which is specified in the master promissory note the student initially signed. Debt CovenantsDebt CovenantsDebt covenants are restrictions that lenders (creditors, investors) put on lending agreements to limit the actions of the borrower (debtor). Debt covenants are agreements between a company and its lenders that the company will operate within certain rules set by the lenders. List of top 10 debt covenants. Simple InterestSimple InterestSimple interest formula, definition and example. Simple interest is a calculation of interest that doesn't take into account the effect of compounding. In many cases, interest compounds with each designated period of a loan, but in the case of simple interest, it does not.